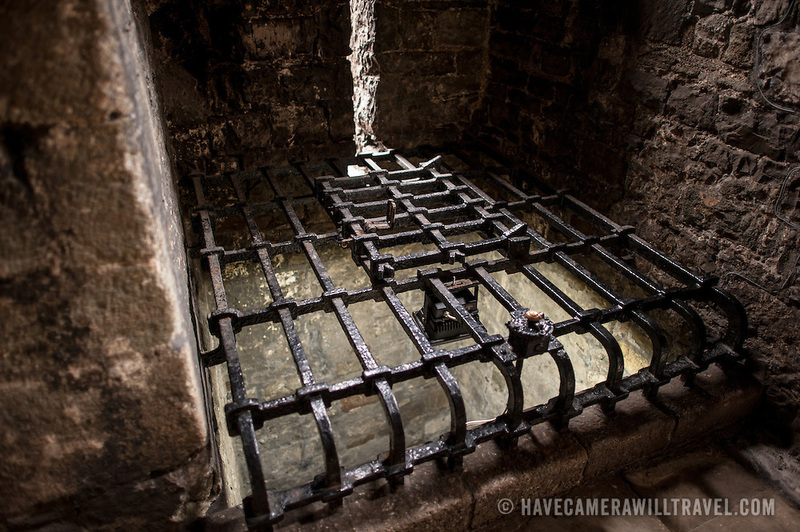 A black metal grill covers the original water well at Caernarfon Castle in northwest Wales. A castle originally stood on the site dating back to the late 11th century, but in the late 13th century King Edward I commissioned a new structure that stands to this day. It has distinctive towers and is one of the best preserved of the series of castles Edward I commissioned.